Vanish™ liquid will immediately remove chlorine, chloramine and heavy metals that are often present in city water supplies. 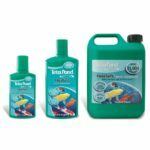 Vanish™ will also add a slime coat protectant to the water to help fish heal wounds and abrasions and protect them in times of stress (during water changes & clean-outs). 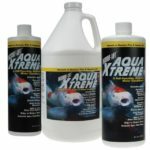 Vanish™ Dry will immediately remove chlorine that is present in city water supplies. 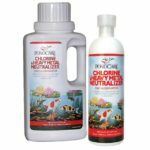 (not Chloramine) Chlorine is toxic to fish, left untreated chlorine can cause gill damage and leave fish unable to breathe. 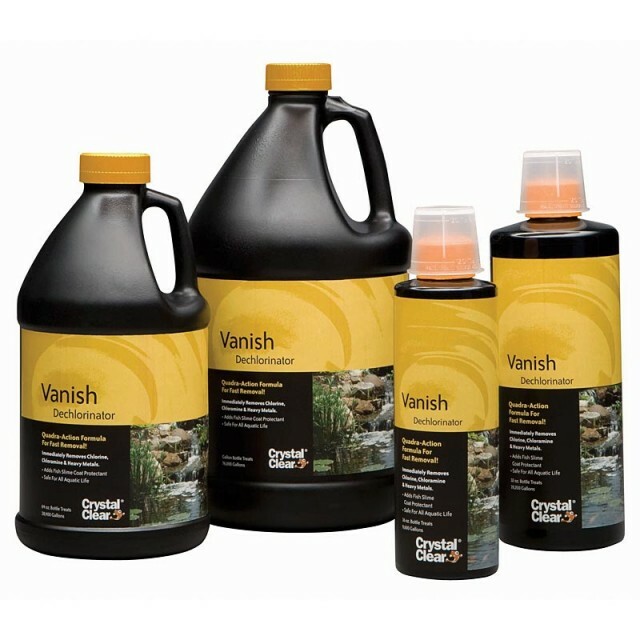 Use Vanish™ Dry when performing water changes or setting up a new pond.